Where do Mice and Insects Like to Hide Inside Your Home? Almost a third of Americans have had a mouse in the house, and just about half of all rodent problems happen during this time of year. If you’ve ever had a rodent run-in, you know that just getting rid of mice doesn’t get rid of that icky feeling that you may not be alone in your own home. Even if you haven’t experienced the misfortune of a mouse encounter, when one out three people have, you can’t help but wonder how long it will be before your luck runs out? The National Pest Management Association (NPMA) shared statistics about the places rodent problems were most frequently reported, and which season had the most people complain about pest problems. The good news is, we made a cheat sheet for you listing the hottest hideaways and most pest prone places broken down room by room. Follow along for easy, natural tips to clean them up and make sure household pests clear out. The kitchen is the busiest place in any house, so keeping it clean is a never ending chore, but it is so very necessary! 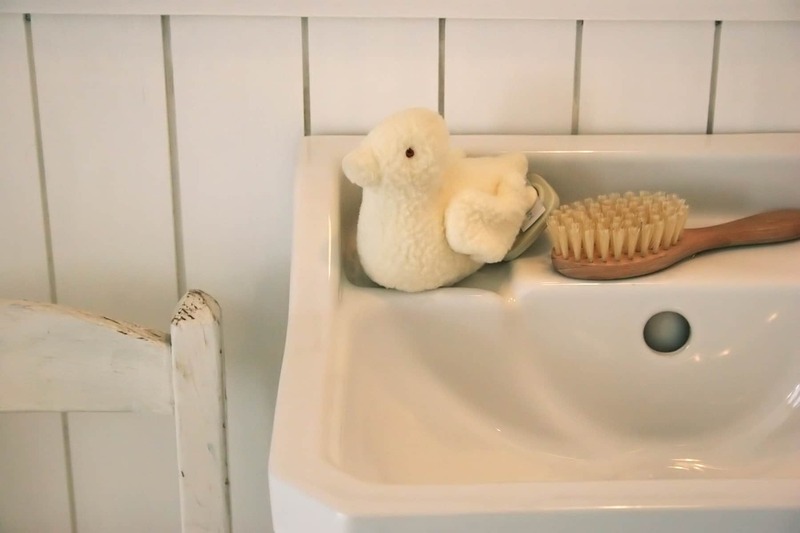 Everyone knows how important good sanitation is to prevent cross contamination and food borne illnesses, but you might not know that 50% of rodent infestations inside a home happen here. Mice, ants, and other household pests follow the scent of food, but can be turned away with certain scents. Keep your kitchen clean naturally by using ingredients you already have on hand like soap, vinegar and lemons. Fill a spray bottle with a 50/50 mix of white vinegar and water to clean surfaces (except marble or granite) — the vinegar will kill germs and wipe out the scent trails pests follow. For marble or granite countertops, the acidic pH of vinegar or citrus cleaners can eat away at the stone, so just use warm soapy water instead. Grind a lemon peel (lime or orange will work too) in your garbage disposal once a week. The citrus scent will keep funky odors — and ants — away! Basements are the 2nd most mouse prone places in homes. They can easily become a storage space where holiday decorations hibernate and other clutter collects dust. Large appliances like water softeners or heaters, furnaces, washers and dryers might also make their home here. Shining a light on problem areas. If you can’t see the dirt, dust, or pests, you won’t be able to get rid of them. Since pests prefer to hide, adequate lighting will give them fewer places to lurk without being seen. Repair any leaky pipes or dripping appliances to prevent musty smells, mold, and moisture that may attract bugs and rodents. Try using a dehumidifier if dampness persists. If you’re like me, you might ‘tidy up’ your living room often, but who knows when the last time you really cleaned the place up was — and almost everyone is guilty of eating in front of the TV. That means the living room offers everything a household pest could ever want, from tasty potato chip crumbs to creature comforts like a cozy, undisturbed corner for use as a nice nesting spot. 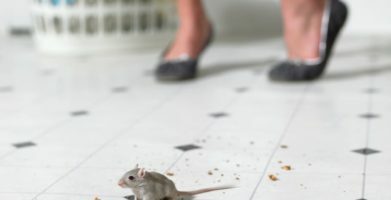 The NPMA reports that 21 million homes are invaded by rodents each winter, and about one in four of these mouse encounters happen in a person’s living room. Once a week, spend a few extra minutes wiping down all surfaces to prevent dust and cobwebs. You can make it even easier by using that stray sock you found in the dryer as a glove. 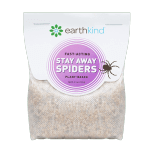 This will also help make sure any house spiders move out! Vacuum regularly. This could be daily or weekly depending on how much time you spend here, but you need to be sure there are no food crumbs left behind for a hungry rodent. Act quickly! 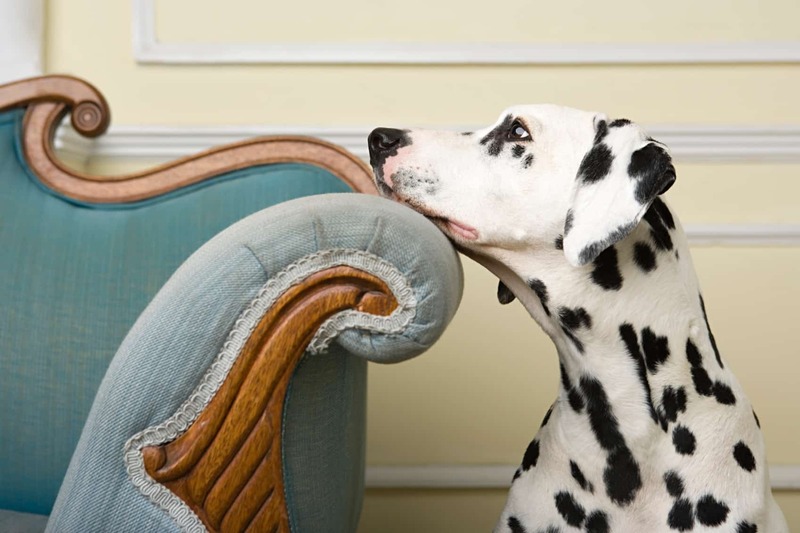 If you do see signs of pests, like moth larvae lurking beneath your couch cushions, a quick response can solve the problem before it becomes an infestation. Like basements, these areas can fill up with all the stuff you only use occasionally and then put into storage. They’re not only good hiding places for small animals and insects, but they often provide easy entry points — small openings that go unnoticed or are difficult to seal. If you rarely spend time here, and only ‘pass through’ when you need to, you may not notice the dirt, dust, and grime that can quickly build up. The worst part may be that pest infestations seem to appear out of nowhere once you take a closer look. Use hard plastic totes with tight fitting lids for storage instead of cardboard boxes. Some insects eat the glue used in boxes, while rats and mice can easily chew through cardboard. Remove cobwebs to keep spiders away. In the attic, make sure chimneys and vents are fitted with wire mesh covers to keep critters out. In the garage, make sure you aren’t leaving bags of pet food, bird seed, or other food sources out — or else you’ll be inviting unwanted visitors in. Pour a cup of household vinegar in the toilet and let it sit for 10 minutes before scrubbing — stains and stinky smells will go down the drain. Stop bacterial and fungus build up (like athlete’s foot, which thrives in damp, dark conditions) in your shower by spraying a mix of ¼ cup distilled water and 3-4 drops of tea tree essential oil. 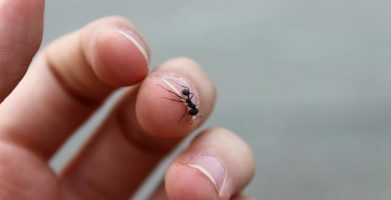 Use the exhaust fan, crack a window, or plug in a small fan to dry up moisture so spiders, ants, termites, and other water seeking bugs stay away. 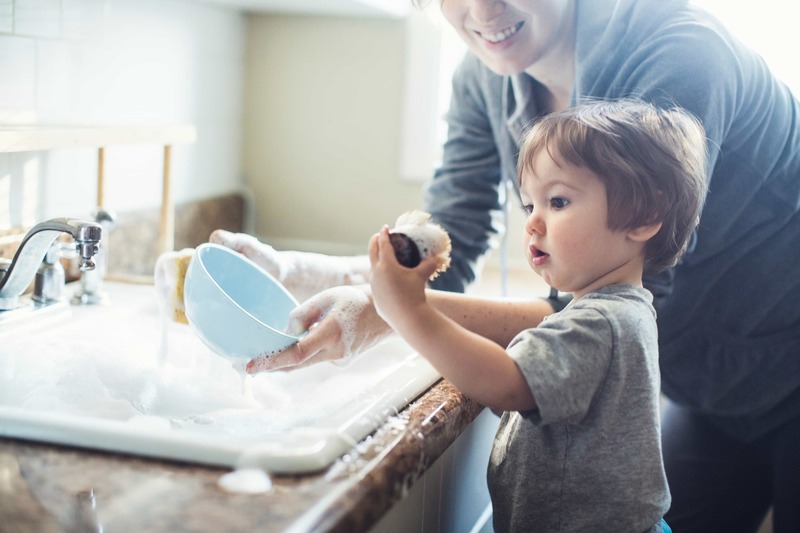 Keeping up with household chores can seem overwhelming if you try to do it all at once. Breaking it down into smaller jobs by focusing on just one room, or even just one problem area at a time, can make a big difference. Protecting your family and pets from exposure to chemical cleaners and poisonous pesticides while preventing pests is one of the best decisions you can make. 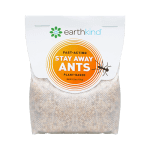 After you’ve cleaned out their favorite hideaways, get rid of ants, moths, spiders and rodents with a natural repellent like Stay Away®. 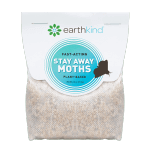 Guaranteed effective, earthkind’s line of natural pest prevention pouches work by using the scent of essential oils to send bugs, rats and mice running. You’ll feel good about this natural solution, and your home will smell great too! Fill a spray bottle with a 50/50 mix of white vinegar and water to clean surfaces (except marble or granite) -- the vinegar will kill germs and wipe out the scent trails pests follow. Grind a lemon peel (lime or orange will work too) in your garbage disposal once a week. The citrus scent will keep funky odors -- and ants -- away! If you’re like me, you might ‘tidy up’ your living room often, but who knows when the last time you really cleaned the place up was -- and almost everyone is guilty of eating in front of the TV. That means the living room offers everything a household pest could ever want, from tasty potato chip crumbs to creature comforts like a cozy, undisturbed corner for use as a nice nesting spot. 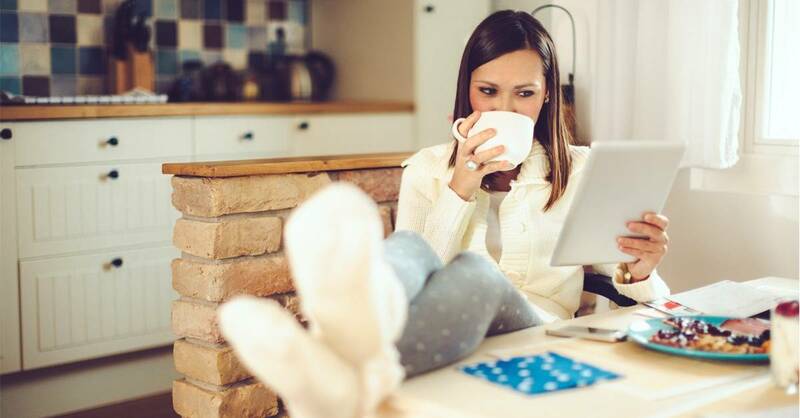 The NPMA reports that 21 million homes are invaded by rodents each winter, and about one in four of these mouse encounters happen in a person’s living room. Like basements, these areas can fill up with all the stuff you only use occasionally and then put into storage. They’re not only good hiding places for small animals and insects, but they often provide easy entry points -- small openings that go unnoticed or are difficult to seal. If you rarely spend time here, and only ‘pass through’ when you need to, you may not notice the dirt, dust, and grime that can quickly build up. The worst part may be that pest infestations seem to appear out of nowhere once you take a closer look. In the garage, make sure you aren’t leaving bags of pet food, bird seed, or other food sources out -- or else you’ll be inviting unwanted visitors in. Pour a cup of household vinegar in the toilet and let it sit for 10 minutes before scrubbing -- stains and stinky smells will go down the drain. string(43) "Where do Mice and Insects Live in Your Home"